Close your eyes. Breathe deeply. 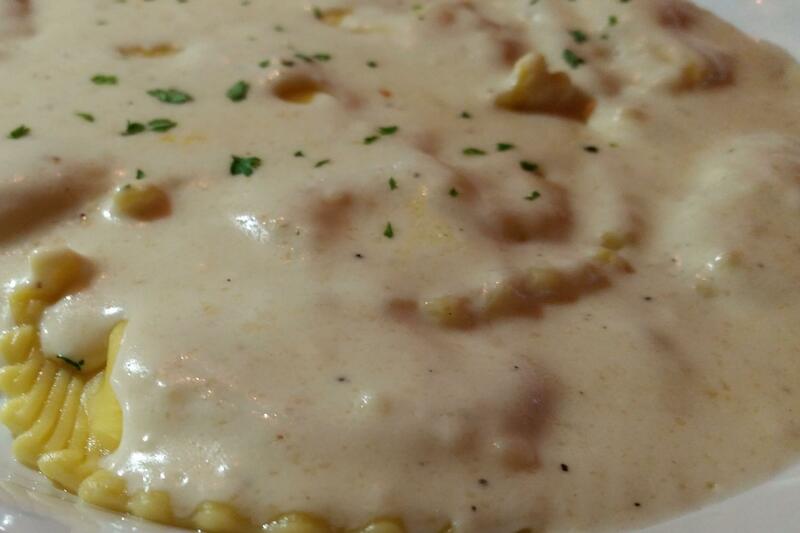 You are floating above an endless sea of alfredo sauce. It is warm, it is inviting. Ravioli peeks up here and there, but as far as you can see is nothing but alfredo. You slowly begin to descend into this infinite pool. The tip of your nose lightly kisses the surface of the sauce, and you continue to sink. You feel the sauce touch, and soon cover, your face, your chest, your legs. Soon you are entirely submerged. You are never going to escape. You do not wish to. This is where you belong. This is home. Pictured here is Raviocean - I guess what I'm trying to get at here is that they went a little heavy on the sauce.